Hello! If you are following along with the Use Your Stash Blog Hop, you have reached the last participant! You probably got here from Casandra’s Blog. Our project this month was to use up some of our retired paper. I choose 2 packs. Superhero and Road Trip. 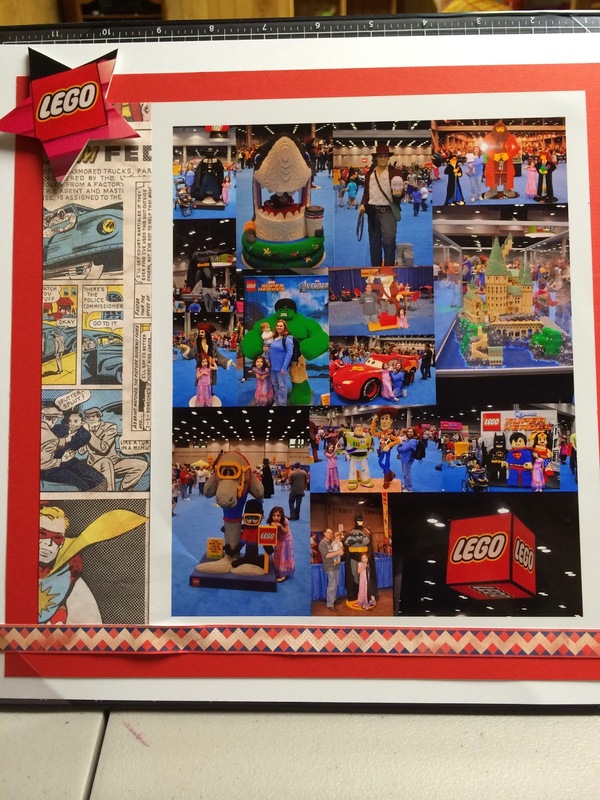 I used Superhero to scrap pictures from a few years ago at Lego Fest. I knew the colors would go well together, but its been sitting there in my “to scrap” folder for a while so I finally dug them all out. 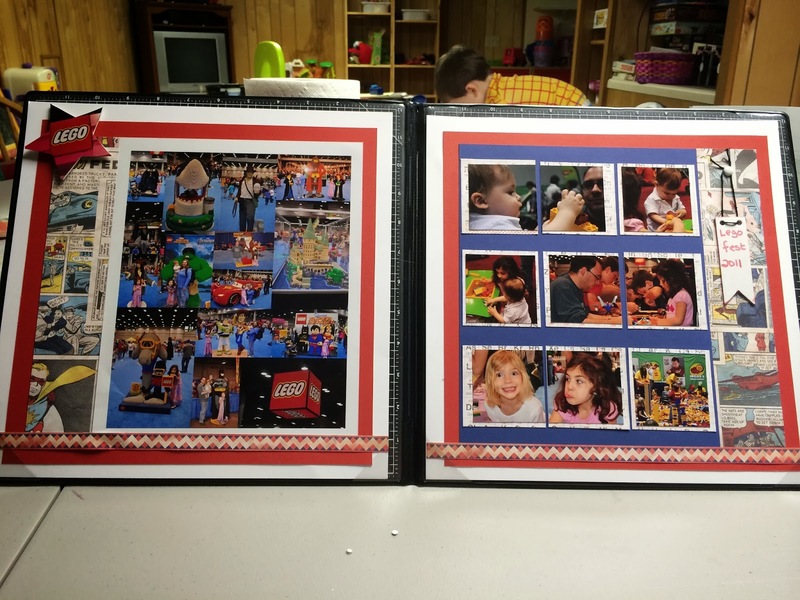 For the 8 X 10 on the left side, I simply ordered a collage print from my local Walgreens store, and changed the color of the border to white to make it stand out. 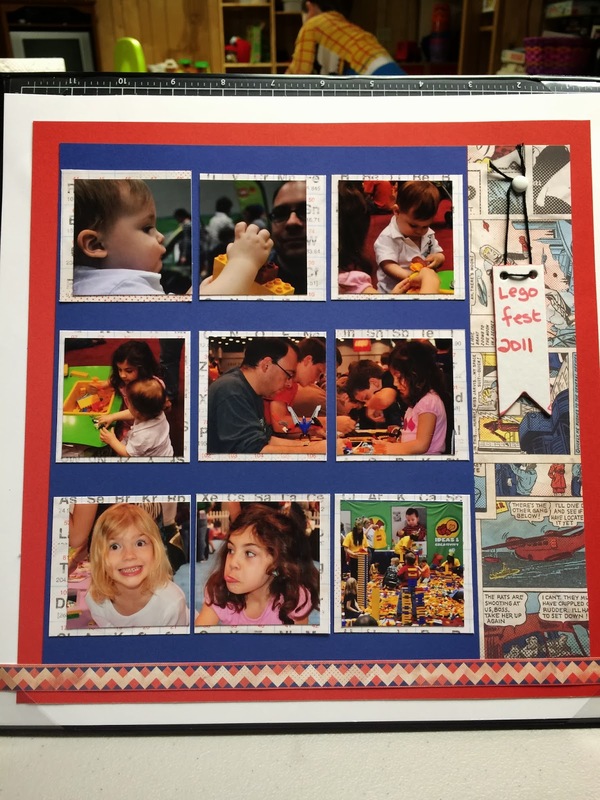 I cut the star out of a picture and placed it on a star chipboard, then used foam tape. The bottom border strip is one of the zip strips from the b&t papers. 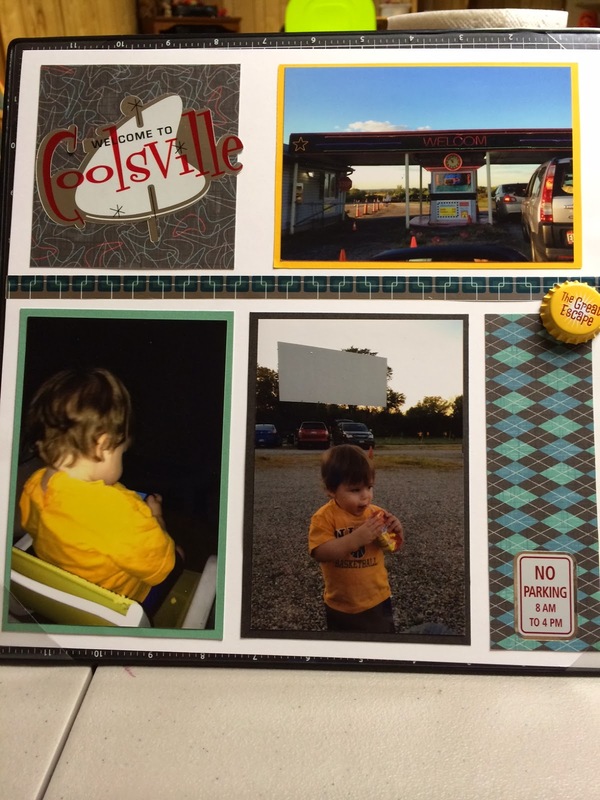 For Roadtrip, I scrapbooked a visit to the drive in. That is one of our favorite summer activities, and this particular time was my son’s first time. It was funny because my son ended up watching a movie on the ipod touch instead of the movie up on the screen! I also used the compliments and stickers to match. Enjoy the pics- and if you are just joining the hop- please go back to the beginning with Joy’s Blog. Next Post New Idea Book is LIVE!! I love them!! 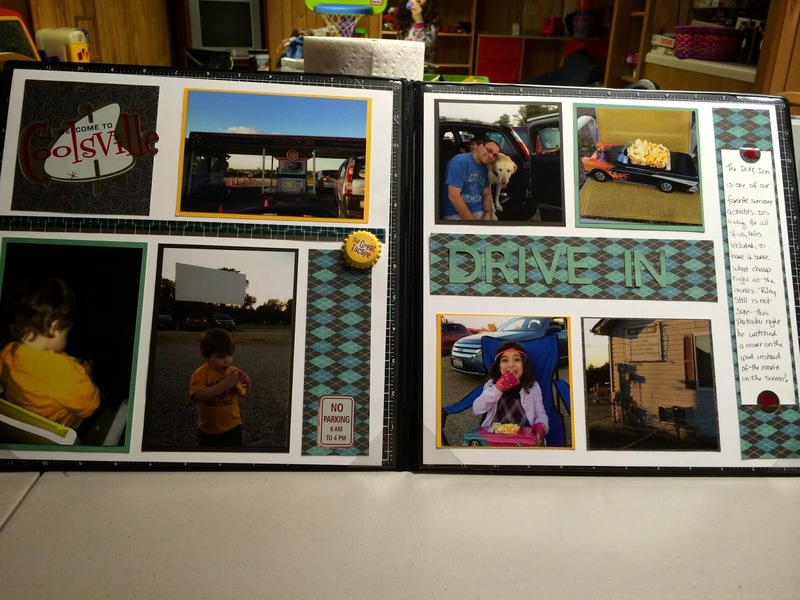 Perfect pairing of paper and photos! Great job. Lego Fest looks like it was a blast. And I must agree with Shirley you paired the photos with the papers perfectly. Great layouts. looks like a fun trip- love how you used the paper.